Adam Fowler, Connecting Nature Intern, TCD. For the first time, Ireland is going to have a ‘meaningful planning framework that people can have confidence will deliver for their communities’, or so says Minister (for Housing, Planning, Community and Local Government) Eoghan Murphy. This quote was in reference to the recently published National Planning Framework 2040, also called Project Ireland 2040. This framework sets out the long-term planning strategy for the country and will guide local, regional and national planning opportunities and investment decisions. Essentially, it will dictate how Ireland will look by the year 2040 and beyond. Most of the debate around the Framework has been surrounding the perceived focus on urban areas while ignoring rural Ireland. The opportunity this framework offers to tackle other issues at a legislative level is enormous and needs to be taken advantage of. An important question must be asked; what role does the climate play in this plan? This framework is a prime opportunity for Ireland to finally get serious and deal with the growing elephant in the room, climate change. This is an elephant that has for too long been met with government inaction despite promises made as a signature to the Paris Agreement and in Ireland’s Climate Action Act 2015. Viewing the final submission of the plan, it is at the very least promising to see three of the 11 chapters in the framework focused on aspects of the environment. Coastal ecology, renewable energy, natural capital and assessing environmental impact make up some of the primary environmental topics addressed. The Government has placed amongst the various overarching aims of the framework; the adoption of the principles of a circular economy, supporting green adaption and implementing sustainable water management. These concepts and goals can be nicely coupled together under what is known as ‘nature-based solutions’ and what represents the future of progressive planning and management at all levels. Nature-based solutions incorporate the ideas and experiences learnt from already developed concepts such as ‘ecosystem services’, ‘blue- green-infrastructure’ and ‘sustainability’. They are adaptive approaches to solving social, environmental and economic challenges, which is inspired and supported by nature. This thinking comes at a time where there is a growing awareness and shift on the view of nature, not as an enemy nor as a threat, but as a tool, one that can provide viable solutions to many of the challenges society faces. 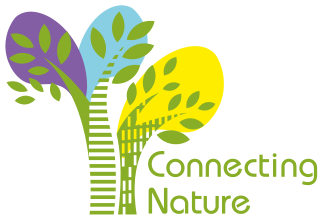 The sustainable use of nature, thanks to adaptive management strategies such as nature-based solutions, can contribute significantly to alleviating challenges related to not only the climate but also issues of human well-being; including vulnerability, social justice and economy culture. Installations such as green belts around cities, and living roofs and walls in buildings, are nature-based solutions that result in not only reconnecting people with nature, they create healthier work/living spaces, reduce the impact of extreme weather events, increase urban biodiversity, offer educational opportunities, the list goes on. They are solutions that are cost-effective, multi-purpose and offer flexible alternatives to transform society into one that is more resilient, efficient and sustainable. This ultimately acts as a means to aid the transition to a low carbon, more resource efficient, green economy. The National Planning Framework offers the opportunity to integrate our climate responsibilities into statutory plans and guidelines. This is vital to holding our responsible authorities accountable, and ensuring action is taken in keeping Ireland on track to meet its climate action obligations. Aside from that, and perhaps more importantly, these actions have the potential to make Ireland a kinder, healthier and happier place in which to grow up and live. With the plan now submitted and finalised, it is now time for the government to put their words into motion, to act and to make real change. Adam Fowler, Connecting Nature Intern, TCD. Adam is currently studying for an MSc in Global Change: Ecosystem Science and Policy at UCD.